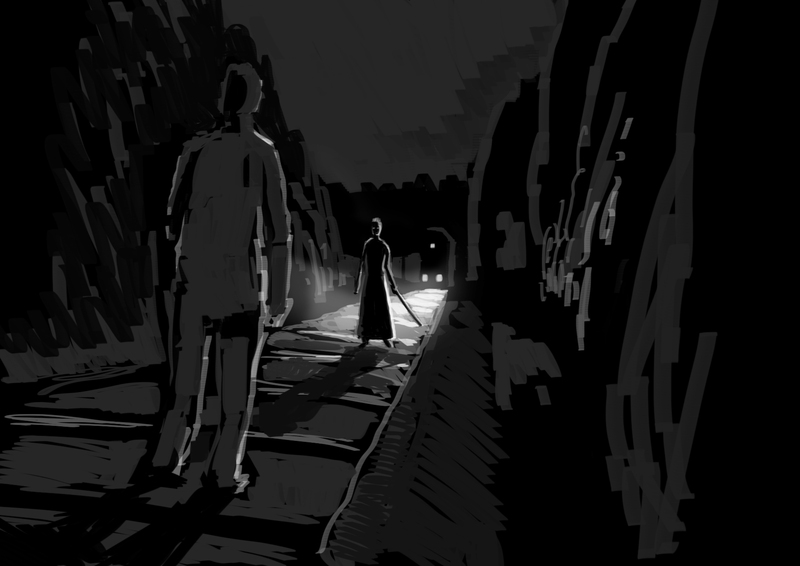 Another great imagining of one of the film’s scenes by our storyboard artists Andreas Bachmann and Sebastian Göpfert. Very much looking forward to today’s storyboarding session with those two! A noble contributor is willing to help us push things forward and crack the 10k by doubling the total amount of all crowdfunding contributions coming in from today 9am (MET) through Friday 9am (MET), up to a maximum of $1000. Which means that all contributions you make during that time frame will count double for our project! If we can manage to beat his challenge by raising more than 1000 over the next 48 hrs, he will even add a bonus on top! Head over to indiegogo now! 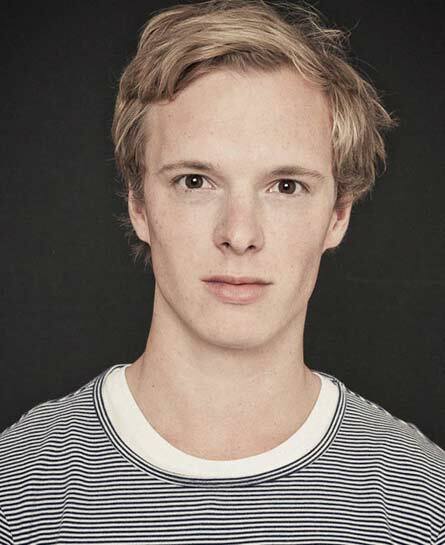 Please Welcome on Board: Jakob! After an excruciating search we have finally found our JAKOB – Michel Diercks, an impressive young actor who nailed the character the moment he entered the room, his measured, reasonable yet uptight and brooding persona proving to be the perfect match and foil to Pit Bukowski’s SAMURAI and his destructive impulses. We’re very happy to introduce – Michel Diercks! This time, our sfx make-up wizards Jenny and Sophie have taken the SAMURAI himself, Pit Bukowski, hostage to their devilish schemes, creating a full cast of his arms and torso in an excruciating three-hour procedure! 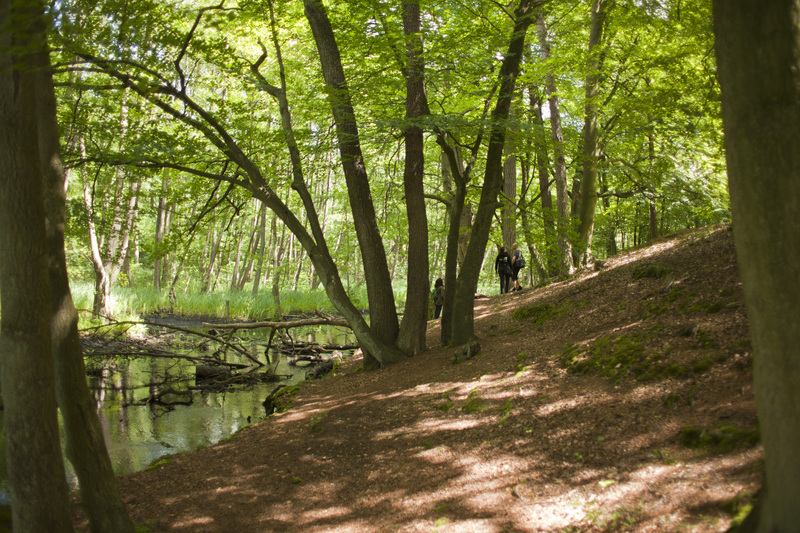 An impression from this weekend’s forest location scouting tour. The great people over at indiewire have chosen to feature DER SAMURAI as their Project of the Day! Please have a look – and don’t forget to vote for it to become Project of the Week come Friday!